The EC chief has called for an “EU joint army” that would “react credibly” to any external threat and defend the bloc’s “values.” While the UK and France are wary it could undermine NATO, Germany has backed the idea. “An army like this would help us to better coordinate our foreign and defense policies, and to collectively take on Europe's responsibilities in the world," the European Commission President Jean-Claude Juncker said in an interview to Germany's Welt am Sonntag newspaper. He added the EU’s image "has suffered dramatically and also in terms of foreign policy, we don't seem to be taken entirely seriously." "A joint EU army would show the world that there would never again be a war between EU countries," Juncker said. 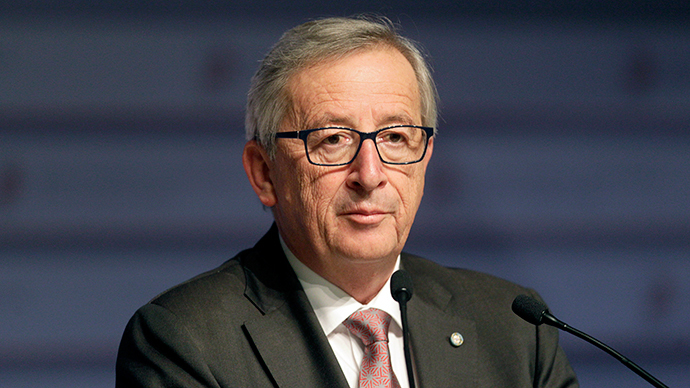 "You would not create a European army to use it immediately," Juncker said. "But a common army among the Europeans would convey to Russia that we are serious about defending the values of the European Union." "The European countries spend enormous sums on the military, many times more in total when compared to Russia. Yet our military capabilities remain unsatisfactory from a security standpoint,” he said. “And they will for as long as we're talking about national mini-armies, which are often doing and purchasing the same things in their minor formats." “It is important that we now swiftly implement concrete measures. We should not wait for an overall concept of all 28 EU members, but start with agreements between the nation states," he added. However, Juncker’s idea of an EU Army is a concern for some of the bloc’s members, particularly France and the UK. They are wary of granting a bigger military role to the EU as it could undermine NATO. "The European version of paranoia: declaring the establishment of a unified army to counterbalance Russia, which does not intend to go to war with anyone," he wrote on his Twitter page.